Please join us in congratulating CITS Affiliate Prof. Laila Shereen Sakr in being awarded the Regents Junior Faculty Fellowship (RJFF). The RJFF program was created to help faculty develop a substantial record in research and creative work for advancement into tenure. 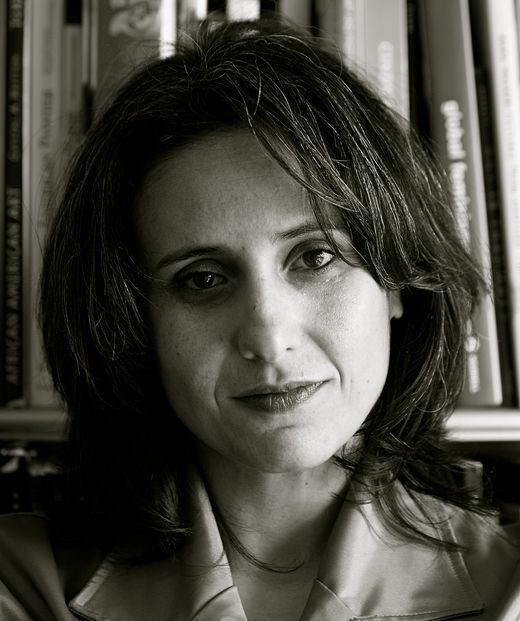 Laila Shereen Sakr is Assistant Professor of Film and Media Studies and Faculty Affiliate in the Feminist Studies Department at University of California, Santa Barbara. At UCSB, she has co-founded Wireframe, a new digital media studio that supports critical game design, data visualization, VR/augmented realities, digital arts and activism. She is known as the creator of the data-body known as VJ Um Amel, and the R-Shief software system. Her creative research uses computer analytics, visualization, and immersive worldbuilding techniques to map how participation in social media has influenced the formation of a virtual body politic. Prof. Shereen Sakr was awarded the Regents Junior Faculty Fellowship for her book manuscript: “Glitch Resistance is a study of the impact of social media on popular social movements in the early twenty-first century, focusing on the Middle East, and specifically, Egypt. It models and narrates historical events emerging after the 2003 U.S. invasion of Iraq through an analysis of archived internet relay chats, digital campaigns, training manuals, technology forums, and billions of social media posts produced within an ecosystem of internet connectivity.” “Glitch Resistance” is one analytical rubric she formulated with multimodal outcomes, including a series of dye sublimation prints on aluminum or canvas. Using photographs she takes herself, VJ Um Amel writes java code using Processing 2.2.1 that compress the time of the event captured and the time of computation into stills. Shereen Sakr has shown in solo and group exhibitions and performances at galleries and museums including the San Francisco MoMA, National Gallery of Art in Jordan, Camera Austria, Cultura Digital in Brazil, DC Fridge Art Gallery, 100 Copies in Egypt, among other venues. Her journal articles appear in Middle East Critique; Cinema Journal Teaching Dossier; Networking Knowledge: Journal of the Media, Communication, and Cultural Studies; Parson’s Journal for Information Mapping; Thoughtmesh: Critical Code Journal; and Feminist Debates in Digital Humanities (forthcoming). See her full bio here.